Gorgeous Amy! Wow - yes I love people giving us permission to be feminine :) Thank-you for celebrating it! Hi Amy, I found your lovely blog from a comment you left for me last week (my crazy little list of kitchen must-haves); I love it over here! A feast for the eyes and you're just getting started?? What a beautiful ring and congrats on your engagement! 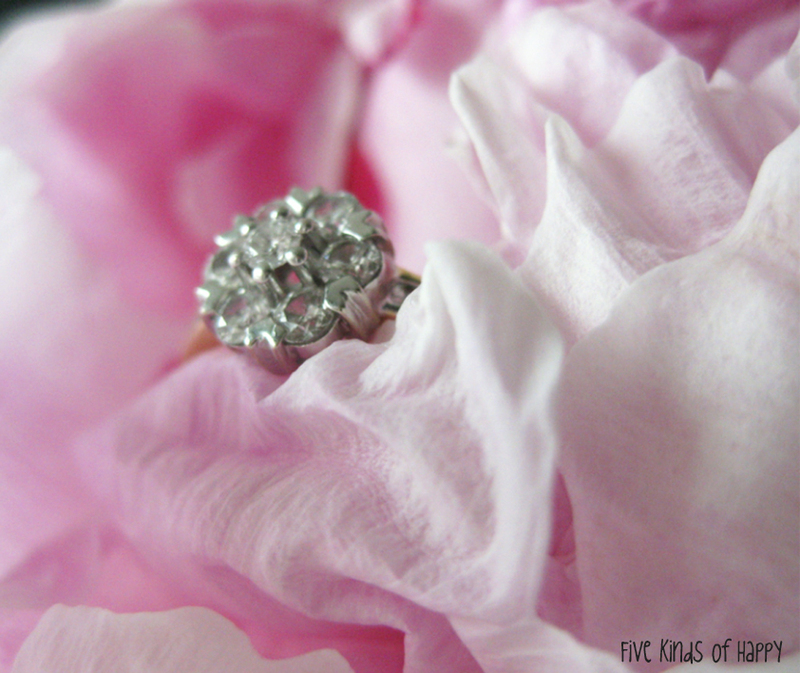 You're so lucky to have such a gorgeous ring! Enter to win 5 shirts from StyleMint! Congrats on your engagement! 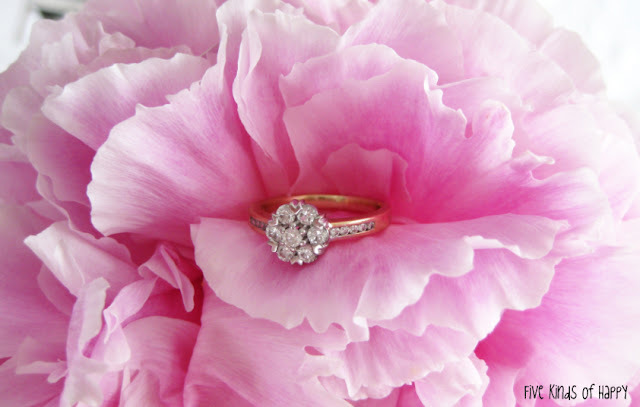 Yes, the ring, and the peonies are beautiful. Thanks for visiting my blog. Beautiful blog you have here! Will definitely be back! Oh my word! What a lovely ring - congrats on your engagement! 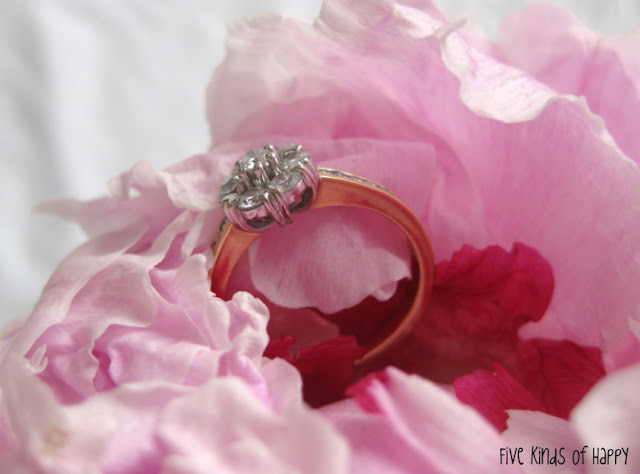 :) LOVE pink peonies too, and I had those incorporated into my wedding bouquet! :) What a lovely blog you have here. Thank you kindly for stopping by my blog and leaving a sweet comment. Take care and have a great night! so cute, I absolutely like your classic engagement ring.. Congratulation for your engagement.. I used to fancy complicated jewelry, but now I am more comfortable with modern and urban style.. Congratulations!!! This is so exciting : ) The pictures are beautiful and delicate. Congrats on your new blog... it's beautiful! And your ring is amazing! gorgeous pictures! peonies are my fave too - such a gorgeous flower! and your ring is beautiful!! looks a bit like a flower too. congrats! !